The Belmont Theatre is York’s prominent community theatre, creating an environment of excellence in the theatre arts through diverse performances and innovative educational opportunities. Whether on stage or off, the Belmont Theatre offers volunteers the chance to share their talents, creativity, and self-expression. At the Belmont, anyone can be a part of something bigger than themselves. The Belmont Theatre is a treasured part of the York Community and will continue to offer live theatre for decades to come. The Center for Community Engagement promotes York College of Pennsylvania's positive relationship with the local community and is dedicated to enhancing the quality of life in York County.The CCE strives to make York College an active community stakeholder.We offer College intellectual and human resources toward shared benefit. We participate in efforts to make the York region a vibrant place to live, work, play, and learn. And we develop and administer programming that helps York College students to be good citizens and servant leaders, in keeping with our college motto: To serve is to live.The CCE is the primary liaison among York College faculty, students and community leaders. It collaborates with government agencies, non-governmental and non-profit organizations to promote research, service, and economic development initiatives. 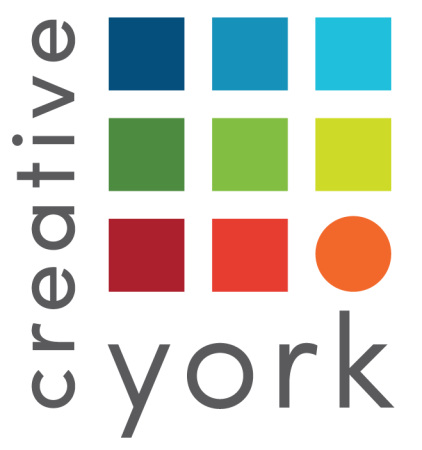 Creative York, formerly YorkArts, is an arts-based, nonprofit learning center that provides opportunities for students to explore their creativity through the arts. Creative York encourages active participation in the arts through their classes, gallery programs, outreach programs, and special events. Do you love to sing? Do you belong to a choir or other vocal ensemble? Do you enjoy karaoke or sing in a Band? Do you dream of performing for one of our regions many community theaters, or do you want to go pro? Do you have child who shows potential? Or maybe you are a classical singer who wants to audition for operas, advanced choirs, do recitals or opera concerts. Whatever your story, Crowne Voice Studio is here for you. With over twenty years of teaching professionals, hobby singers and children, Leah Crowne loves guiding singers as they find their potential and refine their art. Crowne Voice Studio members enjoy weekly one-on-one lessons. Together we build reliable techniques such as diaphragmatic breathing, good alignment, abdominal support, efficient vocal projection and excellent musical phrasing among others. Singers will enjoy frequent and optional performance opportunities such as periodic studio classes, recitals and workshops. Recordings and videos for auditions are also possible. Like other physical activities that involve muscle memory, such as karate, dancing and body building, excellent singing is an accumulation of years of study, not just a lesson here or there. Therefore, people who value vocal performance are encouraged to commit to weekly lessons long term. However choosing the right mentor is an important decision. This is why I offer a free trial lesson. 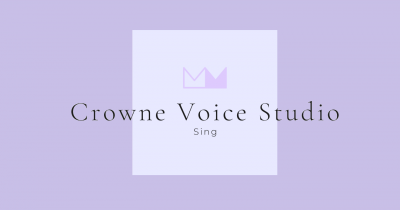 Please check out the Crowne Voice Studio website for more information on booking your first free trial lesson (no obligation)! DreamWrights Center for Community Arts offers an interactive performing arts experience for people of all ages. From camps and classes to full-scale productions of timeless tales and iconic stories, children, teens, and adults of all ages and skill levels will enjoy a hands-on experience. Whether your passion is being center stage, behind the scenes, or in the audience, DreamWrights offers opportunities to explore all aspects of theatre from acting and designing to crewing and stage managing. A non-profit organization founded in 1997, DreamWrights was created by a group of families who believed that participation in a quality theatre education program would have a profound and valuable impact on their children. While the organization continues to grow and offer new interactive and educational experiences, this common vision has never changed. The William C. Goodridge Freedom Center and Underground Railroad Museum is a non-profit site on the Pennsylvania Network to Freedom, conveniently located in historic downtown York, PA. The Museum resides in a house that from 1827 to the early 186os was the primary residence of a remarkable family that made multiple important contributions to York’s development as a city, county, and state. William C. Goodridge was born a slave in MD in 1806, and sold into indentured slavery under a tanner in York at the age of 6. Freed at 16, he sought training as a barber, established his own shop, and went on to become one of the most successful entrepreneurs in the city. 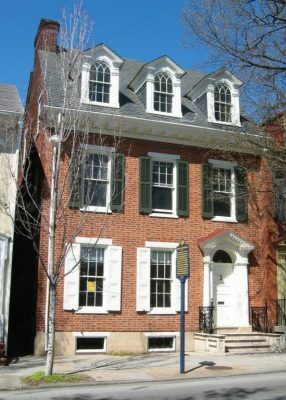 He and his wife, Evalina, established a variety store in addition to the barbershop, expanded to own a business center and multiple rental properties, purchased 13 rail cars, established a delivery service to 22 towns between Baltimore and Philadelphia, hired a carpenter to build the first 5-story building in York, and more, all while raising seven children. And they risked it all to be stationmasters on the Underground Railroad. No visit to the site is complete without looking down into the rough pit under their kitchen where the Goodridge family bravely hid souls seeking freedom from the terrible scourge of slavery before sending them on further along on the Underground Railroad. The Goodridge Freedom Center will be open every First Friday, from 4 pm to 8 pm. Our program for 2017 includes visiting speakers, historical reenactors, cultural and historical education, an art show and contest on the theme of seeking freedom, and a return of the Christmas Tree display that was such a success last year. Please consider paying the Goodridge Freedom Center a visit. It’s a great place for the whole family to come and experience history. Imagine being a part of a passionate, organized and current Center for Dance with a mashup of opportunities for the entire family. At Greater York Dance, we are about connecting the arts and our community. We believe that the arts create happy lives, and our hope is to share the joy and the beauty throughout the ever-growing City of York and the entire region. 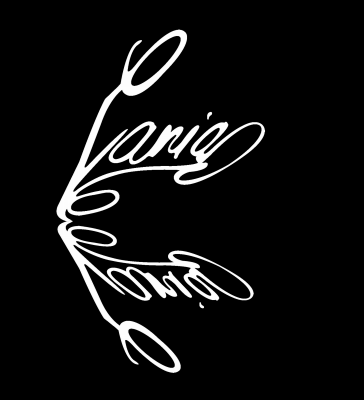 GYDance collaborates with artists and artistic organizations, as well as other nonprofit community groups, public and private schools, and service providers to offer dance education classes, lectures and performances in an effort to enrich the lives of others by passing the joy of dance forward! The school’s curriculum meets the needs of the casual dancer and theatre arts student as well as the student on a collegiate or professional career track. Our mission is to serve our community by providing a positive and healthy experience to people of all ages and abilities through a coordinated program offering the highest level of service and instruction in the region, elite performances and training opportunities, and dedicated outreach activities that promote a lifelong enjoyment of the performing arts. We are committed to enriching the lives of others and strive to be an anchor in our community and a bridge to fulfillment in the arts. Dance It Forward is truly what we do! 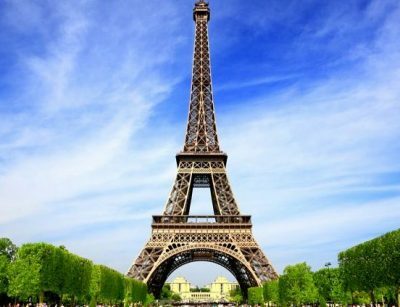 If you wish to discover a country and never leave your home, the best way to do this is by hosting a foreign student! You will share impressions, ideas, activities with him or her. Your student will also get to know your culture and way of life through your eyes. As a host family you provide food, bed (own room or shared), transportation to meeting points, and a loving environment creating lasting memories. We work around vacations, transportation & job schedules. Families are welcome to join us on our weekly trips to Washington DC, Hershey Park, local baseball games, NYC and more… We look forward to seeing you soon! Keep York Beautiful focuses on litter prevention, waste reduction, recycling and community beautification. Just 45 minutes north of Baltimore, nestled in the rolling hills of southern York County, PA, lies Spoutwood Farm’s 26 acres of countryside, streams, and forest. There is abundant life here amidst the variety of fertile bottomland, steep wooded hillsides, wetlands, meadows, orchards and pastures. As a 501(C)(3) non-profit educational farm, we hope to be a resource to all interested in natural farming methods. Spoutwood highlights how the land surrounding the food garden is cared for to promote biodiversity and optimal natural cycles. In this rich and diverse setting, it is easy to connect to the nature all around. We invite people to truly enjoy the sense of wonder and love of nature, to respect and befriend all living beings, domestic and wild, and to live harmoniously with the environment that supports us all. Temple Beth Israel is your Reform Jewish home in York. For 138 years, we have been serving the community as a house of worship and study, and a place for teaching love and understanding of the Jewish heritage. We offer a place to celebrate your life-cycle events, as well as to celebrate the holidays. Our Chanukah events and community Seder draw people of all faiths, and we are active in York interfaith efforts as well. Tikkun olam – repairing the world – is an essential element of Reform Judaism. It is what leads us to launch charitable projects like Doing Good for Goode. Since 2007, Rabbi Jeffrey Astrachan has been our spiritual leader. Interested in learning more? Please call us at 717-843-2676. Aquatic Resource Restoration Company (ARRC) purchased the property at 12506 Susquehanna Trail South in New Freedom, PA in early 2018. 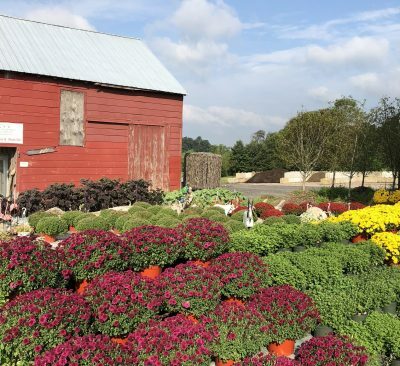 This location was previously a retail location known as Superior Nursery, but is now referred to by ARRC staff simply as “The Farm.” The Farm has been open for business since April 2018 and also operates as ARRC’s headquarters. 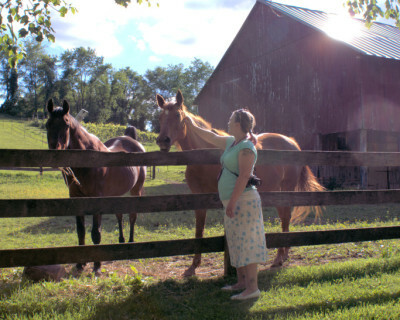 The farmhouse provides offices for our business-side staff and Farm staff. Our clients range from landscaping companies making large purchases of plants, top soil and mulch, to local home-owners tending to their own gardens. We offer annuals, perennials, vegetables, seasonal plants, ornamentals, shrubs and trees. In addition, you can spruce up your garden with our metal garden art animals or some driftwood from the eastern shore of Maryland. Our staff is super knowledgeable, friendly and ready to help you get whatever you want to make your garden that special place! Coming soon: The transformation of our barn into The Ladybug Station, which will be headquarters for our Ladybug Garden Explorers kids’ club, our shop with local artisan and crafters’ works, and a loft for classes, to act as a lounge and for community use and rental. We will be hosting a LIVE Nativity with sheep, goats and donkeys from December 1-24, 2018. We have big plans for the Farm, so stay tuned! The world is changing at an exponential rate. From self driving cars, to huge advancements in Artificial Intelligence, technology is beginning to disrupt every industry, regardless of age, type or location. Our communities will no longer remain immune to these changes, able to sit on the sidelines as other, larger cities take the lead. With organizations from the White House to Economic Experts predicting future job losses in the millions, the time to act is now. Inspired by the York Plan of 1940, The Fortress Initiative was formed as a way to help strengthen our communities for this coming change and bring access to technology to every citizen, regardless of age, race or socio-economic background. As a first step, The Fortress Initiative has taken control of the western National bank in downtown York PA and is creating the regions first “Disruption Center”. Focused on exponential technology, awareness and education, the Fortress of York will be an 8000 square foot, STEM, Robotics and computer programming center. With space for Start ups, Established Technology companies, Individual Technologists and Accelerated Education and Training Providers, The Fortress of York will serve as a hub for the regions Disruptive Thinkers. The Grotto’s intention is to provide a creative hub and working space in the community for creatives and entrepreneurs of all backgrounds, skill sets and stages of their careers. We will offer a variety of services designed to spark creativity and innovation including coworking, business development workshops, and community engagement. Envisioned as a living organization based out of a singular structure: The Grotto will consist of coworking, flex space, dedicated and hot desks, space to host workshops and events, conference rooms, and community programs. The Grotto’s versatility mimics the nature of the resurging gig economy and would be York’s centrally located organization. Our library is in the heart of the borough of Glen Rock, PA. We offer a variety of programs, including Busy Little Birds Activity Time, Little Owls’ Story Time, the Glen Rock Literary Society which is our monthly book club, The Common Thread Crafting Coven for all thread-based crafters and more! The Steam into History train goes right past our front window several times a week, which is a real treat for children and adults alike. Come down and meet our small, friendly staff and visit our cozy, welcoming library in an historic building nestled in the hills of Glen Rock. Don’t miss the gallery wall featuring a new local artist on a monthly basis! The Pullo Center at Penn State York features a 1,016-seat theatre with full production capabilities. The Pullo Center offers a diverse array of touring shows, concerts, and cultural, community, and educational events. Construction on the 71,000 square foot facility began in December 2004 and the highly anticipated completion of the building was marked by the grand opening on August 25, 2005. The $11.9 million facility was constructed with a combination of state funding from the Department of General Services in Harrisburg, University funds, and with the generous contributions of local donors. The building overlooks the City of York and offers amazing vistas from the theatre lobbies. Design professionals worked hard to ensure that the theatre offers the intimacy of a much smaller theatre by incorporating a full mezzanine and several different seating areas including upper and lower level parterres. The fully equipped theatre has state-of–the-art lighting and sound systems, and one of the largest stagecapabilities in the area. The full fly tower above the stage allows touring and traveling shows of all types to be able to perform in the space, while back stage amenities treat performers to a comfortable and welcoming environment. 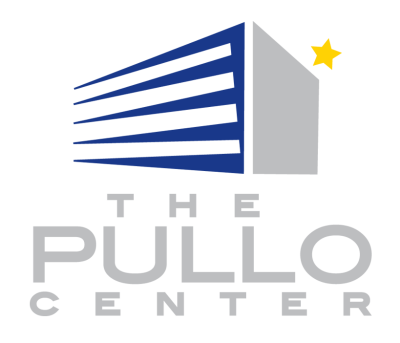 The Pullo Center is the home of many technical rehearsals for national touring shows, and offers a variety of Broadway, children’s shows, comedy, and concert events. In addition to the theatre, the lower section of the building houses general purpose, studio, and art classroom space. The campus’ new Lee R. Glatfelter Library is also connected to The Pullo Center. The library houses group study rooms, stack space, instructional space, and a computer lab. Visitors to the library have a spectacular view of Memorial Park, the City of York, campus, and the woods. The performing arts center and the library are connected by the John T. and Paige S. Smith Atrium, designed to be open to the floors above and below. There is ample use of glass to take advantage of natural light and the vistas to the north. The Bistro at Penn State York, a popular local café, has a location in the atrium. The café is open weekdays and also during events at the performing arts center. Weary Arts Group (WAG) is dedicated to the advancement of arts education for students of all ages in York City and beyond. We believe that excellent training in the arts leads to greater leaders in all fields and careers. Comprised of artists, educators, and community leaders, we recognize the power the arts has to transform a community. Building a wide range of specialty arts based classes with a living curriculum serves the city, county, and creates a global neighborhood. This offering will allow us to be a community outreach center and safe haven for all. Arts for everyone! You’ve got a story. 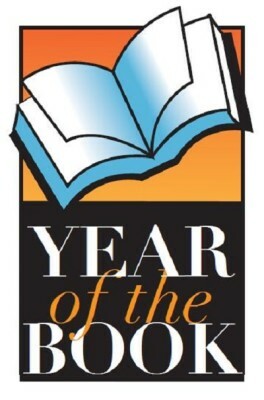 Year of the Book helps you get your idea out of your head and onto the page… …and then into print! Since 1855, the YMCA of York County has been applying Christian principles in response to community needs. 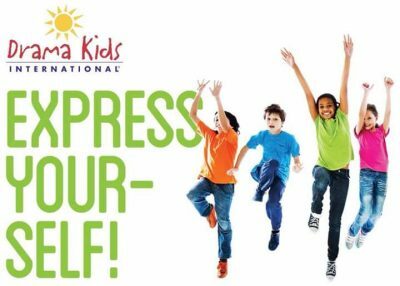 The Y is devoted to serving the community with programs that build healthy spirit, mind and body while developing and practicing the principles of faith, hope, love, honesty, respect, and responsibility. Founded as a United Arts Fund in 1999, the Cultural Alliance of York County helps foster a thriving community. From New Freedom to Hanover, downtown to east York, together through the arts we’re Creating One Community. © 2019 Cultural Alliance of York County. All Rights Reserved.